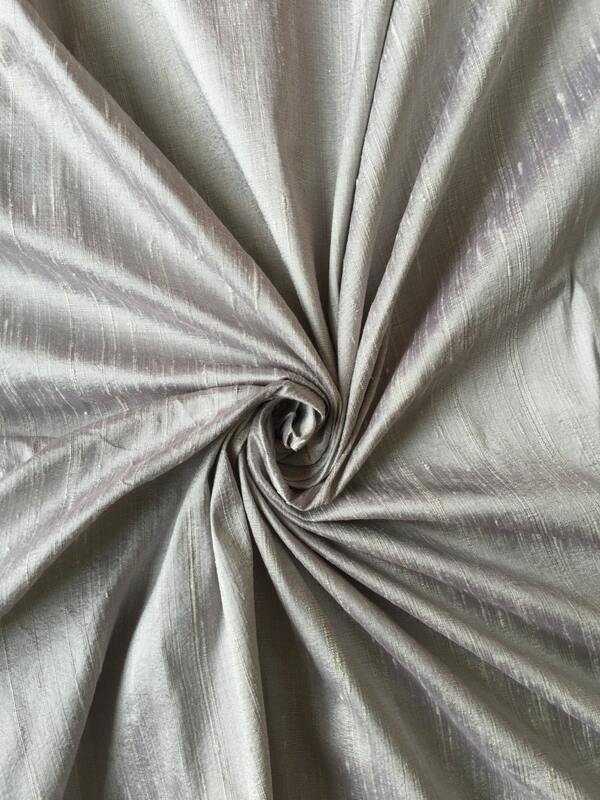 Silver dupioni silk fabric yardage. Brand New High-End Dupioni Silk Fabric Yardage. 45 inches wide. This is a tone-on-tone pure silver. Darker than this is pewter dupioni silk. Darker than Pewter is Gray dupioni silk. My order arrived in a timely fashion and was exactly what I ordered. I would order from this shop again. Just as described and promptly shipped!